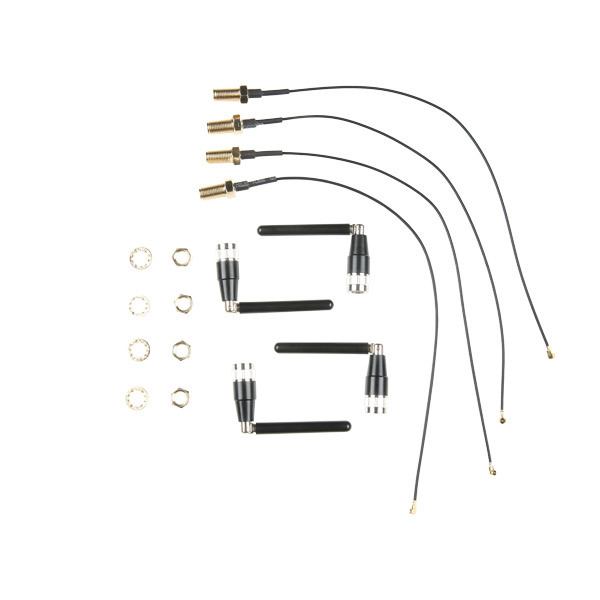 This is a four-pack of omni-directional antennas and cables that have been assembled to be specifically used with the LimeSDR. Each of these antennas cover frequency ranges 800-960 MHz, 1710-2170 MHz, and 2400-2700 MHz. If you don't have a LimeSDR, that's alright, these antennas will work in other applications utilizing the previous frequency ranges as well. 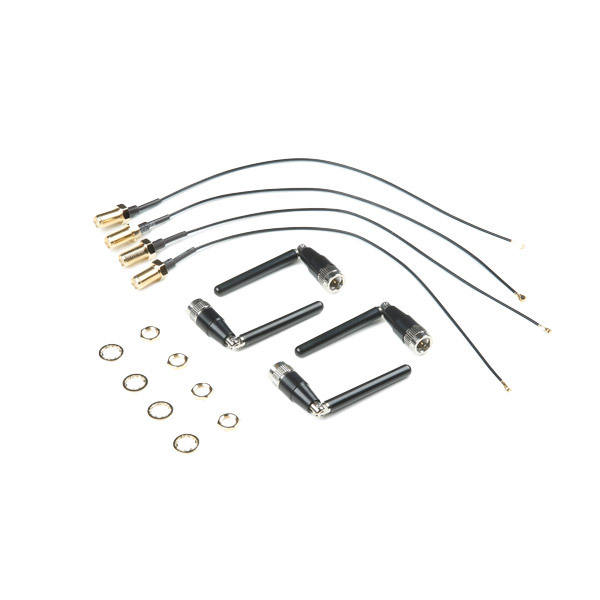 Included in each pack are four antennas with SMA connectors, four U.FL to SMA cables, and all the washers and nuts you need to connect them. Additionally, each antenna in this pack can bend to -90, -45, 0, 45, and 90 degrees.